A panel of experts set up by National Green Tribunal, informally known as the green court, in November said authorities in Tamil Nadu failed to comply with procedures before shutting down the smelter. The National Green Tribunal on Monday said it will issue its judgment in one week on whether to allow Vedanta Ltd to re-open its copper smelter, which was closed earlier this year after 13 people died when police fired on protesters. A judgment on the smelter will be uploaded on the court's website in a week's time, Adarsh Kumar Goel, chairman of the National Green Tribunal, said on Monday. There will be no further hearings on the case, he said. Last week, CS Vaidyanathan, a lawyer for the Tamil Nadu Pollution Control Board, questioned the power of the expert panel to decide that the ban on the smelter in the town of Thoothukudi should be lifted. 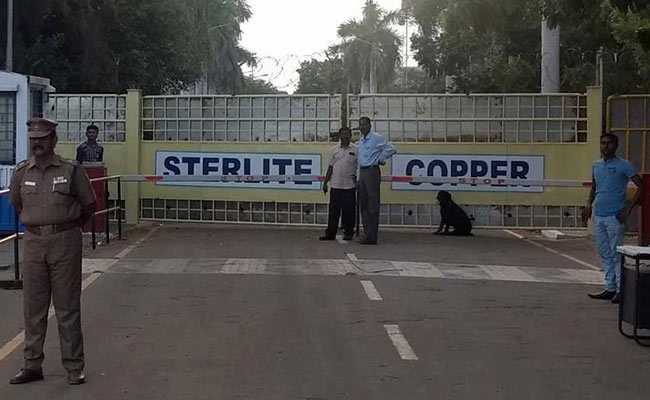 State authorities had shut down the Tamil Nadu plant in May after police fired on protesters calling for its closure over concerns it was polluting air and water. Vedanta's lawyer Aryama Sundaram last week told the court the company would invest 1 billion rupees ($14 million) to build hospitals and schools for people living close to the smelter.